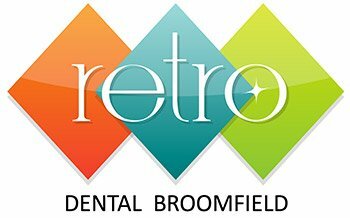 Broomfield’s finest emergency dental staff is there for you to answer questions and make you an appointment. When suffering from a dental emergency, you can’t just pick up the phone and call 911 for help. But, you can call us at (303) 466-2935 to have questions answered and to schedule the first available appointment. We pride ourselves in putting our patients first. Dental emergencies are common in all age groups from children to the elderly. Some of the more prevalent dental emergencies are broken teeth, cavities, enamel erosion, tooth pain and dry mouth. You can never predict a dental emergency but, if it happens, you can rest assured that we will be ready for you. We always remain flexible in order to attend to your dental emergency in a timely manner. Please feel free to call us so we can get you in as soon as possible! If you have a dental emergency, it is always best to come in and see our dentist as quickly as you can. If this is not an option, here are some tips for handling some of the most common dental problems. For a toothache, try rinsing your mouth with lukewarm salt water (1 cup warm water mixed with 1 teaspoon salt). Salt water helps to clean and soothe the area. Take over the counter pain medications, if necessary. A tooth that has been knocked out can often be re-implanted if you act quickly and come to see us in a timely manner. Avoid touching the root as much as possible and transport the tooth in some of the person’s own saliva or in milk. A separated crown needs to be re-cemented as soon as possible. Until that happens, keep the area clean. You can use denture cream or toothpaste placed inside the crown to gently fit it back into place for a temporary fix. Please don’t hesitate to call us at (303) 466-2935.